AstroSageIndia, country’s first Multilanguage astrological YouTube channel was launched on the historical date of the century, i.e. 12-12-12. The actress, who has shown her talent in films like Sahab, Biwi aur Gangster and Rockstar, launched the channel by clicking over the computer exact at 12:12 pm. Shreya, at the event said that the channel AstroSageIndia is an exceptional milestone in itself. Through the medium of this channel, people will not only get access to excellent content but also the principles of astrology could be understood in a better way. The actress had to reach Agra for the programme, but couldn’t make it at the last moment. She launched the channel through video conferencing. On the other hand, Kartar Singh, who got famous from the show X-Factor, inaugurated and launched the channel AstroSageIndia at the Goverdhan Hotel in Agra. At the event Kartar Singh said that he has a firm belief over astrology and he hopes that this new technology will definitely work toward the eradication of disbelief or superstition. The director of AstroSage Mr. Punit Pandey, CA Ashok Jain, Mr. Chandra Kant Tripathi from Central Hindi Organization, Mr. Surendra Sharma and Mr. Rakshit Tandon were present at the event with Kartar Singh. The most interesting fact was that the guests and chiefs were welcomed by presenting their respective birth charts, instead of bouquets. Pt. 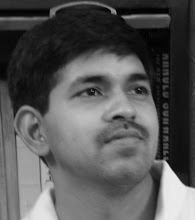 Hanuman Mishra said that the unique date chosen for the launch of the YouTube channel AstroSageIndia has its historical and astrological significance. “The date comes once in a century. The no. 12 has its own importance in astrology, because there are 12 zodiacs, 12 houses and 12 Jyotirlinga.” He also added that people from every corner of the world will be able to gain knowledge through this channel. The distinctive feature of the AstroSageIndia’s launching ceremony was that the people from different cities were able to participate in the programme through Google’s Hangout Service. Pratik Pandey, Shravan Kumar, Hukum Singh, Ashwini Paliwal, Avinash Jadaun, Gaurav Palival, Vijay Pathak and Prakash Mohan Pandey were present at the event. 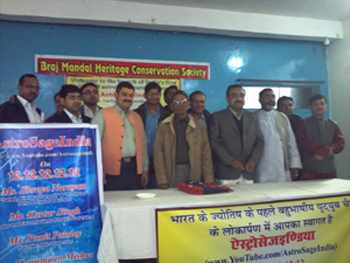 The programme was coordinated by Mr. Piyush Pandey and the concluding ceremony was taken care of by Braj Khandelwal. I always believed that technology can help immensely in learning and that is the reason I try to use technology in best possible way I can. Since 2001, I am using YahooGroups for astrology learning and discussion. The day Facebook groups came, I am also using Facebook group for astrology learning, information sharing and discussion. I always loved Google products and happy to see announcement of Google Plus Communities yesterday. One good feature about Google Plus Communities is categorization. We can have one single group and have a separate section for each topic like Traditional Astrology, KP Astrology, Lal Kitab, Jaimini Astrology, Tajik, Nadi, Western etc. Here is the URL of my Astrology Community on Google Plus - https://plus.google.com/communities/114472931820343160921. If you are the one who loves astrology discussion on Internet, this is a must join community for you. I am pleased to announce today a new major version of our Android Mobile Phone and Tablet astrology software - "AstroSage Kundli". 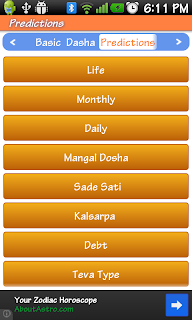 Added many predictions & reports- Life Predictions, Monthly & Annual Predictions, Daily Predictions, Mangal Dosh / Kuja Dosham, Shani Sade Sati, Kaal Sarp Dosha, Lal Kitab Remedies, Debts etc. Lal Kitab: chart, varshfal, prediction for planet in each house, remedies, kundli type like dharmi teva, andha teva, ratandh teva etc. and much more. I hope you will love new release. 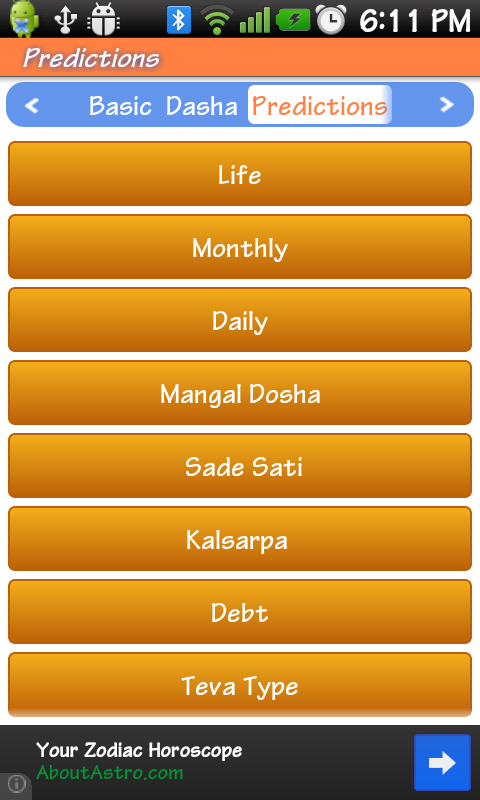 Apart from "AstroSage Kundli", we also released new version of "Rahukalam App" with notification. With widget, notification and alerts, you will never miss Rahu kaal again. Other articles can be found in Diwali 2012 section of AstroSage.com. I hope you will find them useful. 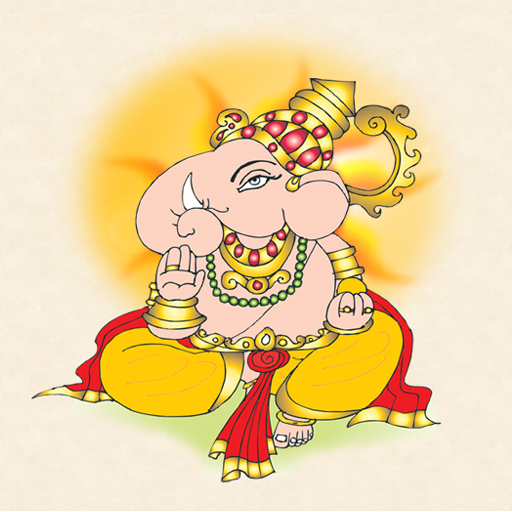 Why is God Ganesha considered the foremost among all Gods? AstroSage.com is largest Indian astrology portal with more than 1.5 crore hits a month. At AstroSage, we always tried to develop things that can help astrologers and astrology students in some way. This Diwali, we have many announcements to make and "AstroSage Astrology Magazine" is one of them. 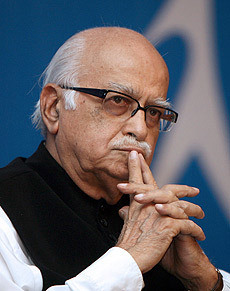 L K Advani is one of the most respected politician of the present time. He is among very few politicians who have such a long political life but still there is no corruption charge on them. Today is his birth day and first of all I would like to wish him a happy birthday and a long life. Astrologically, time around birthday is an important period. Astrology considers change of the year as very important event and use present year's chart for predicting yearly events of one's life. This chart is called solar return chart or varshfal chart in astrology. Yesterday we announced "Celebrity Birth Database for Astrology Research". On Celebrity Database, Birthday today section, I noticed that today is the birthday of Sonali Kulkarni. Sonali Kulkarni birth chart on AstroSage Celebrity Database has "Accurate (A)" rating that inspire me to have a second look on her chart. I am not a regular movie goer but recognize her for her role in successful movie "Dil Chahta Hai". Find birth details (date of birth, time of birth, place of birth) of celebrities of the world from various fields - Bollywood, Hollywood, Scientists, Industrialists, Sportsman, Cricketers, Astrologers and Singers etc. There are more than 2000 charts for astrology research and it is growing very fast. On this day, the Vijaya Muhurat will be there from 1:07 pm to 1:50 pm. During this time, you may worship arms. On this day, Abhijeet Muhurat will remain from 11:00 am to 11:42 am. This Muhurat is meant for initiating any new task. Work initiated during this time never gets obstructed. If you worship and seek any wish during this time, it definitely turns true. Madhyan Kaal will remain from 10:35 am to 12:50 pm. You made us no. 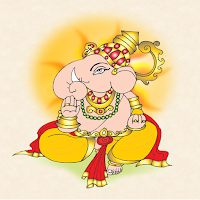 1 Indian astrology portal and we thank from our heart for it. We always appreciate your love and support and that is the reason we try to respond to your requests best of our capacity. Acting on your suggestions, we had made many changes to AstroSage which we hope that you will love them. Shradh rituals are considered very important for Hindus. Shradh are performed on the exact tithi of of Pitru Paksha as the demise tithi of the ancestor. Generally now a days we are aware of English dates but not tithi i.e. Hindu dates. If you are among the people who do not know the tithi of demise of ancestor but know English date, we have developed a tool which will not only let you know the tithi but also the date in the coming Pitru Paksha of 2012 when you should perform Shradh. Go to Shradh Tithi Finder Tool and find out the Shradh Dates. Chinese Astrology is gaining popularity in India. It is quite popular in the West but didn't get much popularity in India because of the availability of comparatively more advanced cousin called Vedic astrology. Nevertheless, some follow Chinese astrology and AstroSage.com has quite a few tools for the them. Know accurate Rahukalam on go with Rahukalam Android App from Mobile Phones and Tablets. Do not rely on rough Rahu Kaal calculation when you can get accurate Rahu Kaal calculation with one click. Launch of "Learn Astrology" Android Application has given birth to the new form of astrology teachings. "Learn Astrology" offers free tutorials to the astrology students. Astrology lessons are available in Video, English Text and Hindi Text. Name is not merely a group of alphabets, but it also contains the key to good luck, health, wealth and much more. Indian Swar Shastra (system based on the sound of the name) gives a lot of importance to the name. Numerology also gives a lot of importance to the name. At AstroSage.com we have developed multiple systems that can help you selecting right name for your baby. If you are an astrologer, tarot card reader, numerologist, karmakand pundit, gemstone dealer, face-reader, or any other occultist, you have great opportunity to join AstroSage.com's panel FREE and advertise yourself. Detailed announcement can be found at - http://www.astrocamp.com/astrology-directory-occult-yellow-pages.html. AstroSage.com is most popular Indian astrology websites and joining AstroSage will give you amazing reach. Entries are currently FREE ... so astrologers, join now - http://astrologer.astrosage.com. It looks like we have recently more love for Rahu :-). Yesterday I talked about new Kaal Sarpa Yoga video and Kaal Sarpa Yoga report. If you have not done it already, subscribe our Astrology YouTube channel immediately as a lot of exciting material is coming there. In last announcement, I forgot to mentioned that we have also created a new Rahu Kaal calculator on AstroCAMP.com. On 16th night, a so called rare Kaal Sarpa Yoga or Kaal Sarpa dosha is formed in heaven as all planets entered between Rahu and Ketu. This formation will be there till 1st of July 2012. We have created a video on this event and published on our YouTube channel. Friends as you are already on my blog, you would have noticed change in the layout and the look. I am planning to write more frequently on my blog and hence I have changed look and feel of this blog completely to make it more readable and pleasant looking. Please let me know your feedback on the new look of this blog. A Surya Grahan (Solar Eclipse) will take place on 20th May / 21st May 2012. This will be first Surya Grahan in this year 2012 which is taking place in Taurus sign and Krittika star. I had a quick look at the the planetary configuration during the time of Surya Grahan and unhappy to say that it doesn't look good. According to Indian astrology, Jupiter is changing its sign from Aries to Taurus on 17th May 2012. Jupiter is the Guru, a preacher. Taurus is a sign owned by Venus, another Guru. Jupiter is a planet for finance whereas Taurus is the sign for luxury. Jupiter symbolizes spiritual world whereas Venus symbolizes physical world. Jupiter thinks of others first whereas Venus thinks of itself. There are lots of similarity because both of them are Gurus but some fundamental differences as well. Let us try to understand how it is going to impact you. In this year 2012, there are total four eclipses. Two of them are Solar Eclipses and two are Lunar Eclipses. Second Solar Eclipse which will be there on 13 November 2012 / 14 November 2012 will not be visible in India. So from India's perspective Solar Eclipse on May 21st is of most importance this year. Most advanced online astrology software "AstroSage Cloud" is available now with unlimited birth chart saving, horoscope matching, mobile phone support, and many free reports. We are pleased to announce “AstroSage Cloud” – the most advanced online Astrology System ever. Accurate calculations, comprehensive predictions, free reports, this is exactly the right software to meet the needs of astrologers and common man, ALL IN ONE. It’s extremely user-friendly and reduces brain-twisting calculations and judgments to simple procedures. Not just this, it’s available in two languages English and Hindi and is ALL FOR FREE!! Why Diwali is celebrated on Amavasya having debilitated Sun? Alternate Question: Why Diwali is celebrated on the Amavasya day when Sun also is debilitated and Moon doesn’t have Paksha Bala? Somebody put up this point that Dipawali is the day when Sun is debilitated and Moon is also weak due to Amavasya, but that was the day when Ram Rajya started. He concluded, hence debilitation (neecha) doesn’t have any meaning in astrology. Resolved bug with Samsung Galaxy Note, Samsung Galaxy Tab and other wider screen devices. Now the software is compatible with Ice Cream Sandwich i.e. Android 4.0. Added option for opening saved chart offline. So the saved chart can be opened without Internet. Do not forget to share your feedback. In olden days Gurukuls were the places to learn and gain knowledge. Time has changed many things and one of the major change is that it has given access of knowledge to everyone. Now 'Eklavyas' and not deprived of knowledge and they can compete much easily with 'Arjunas'. Thanks to Internet and mobile technologies, now one can get connected to experts worldwide and also get access to authentic and original texts which was earlier available to only privileged few.